Interactive Science offers an engaging, hands-on learning experience for students and an easy-to-manage program for teachers. The print and digital update of Interactive Science delivers the best in classroom technology, and brings the fun back into class while building the skills students need to think like scientists and engineers. 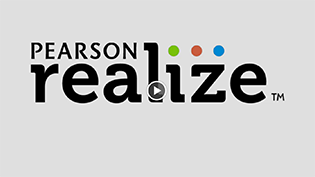 Pearson Realize ™ is your online learning management system for Interactive Science. It provides all program content, assessments, and management tools. Pearson Realize helps you work more effectively and efficiently. Log on to select "Interactive Science"
Watch how Pearson Realize, a next generation learning management system, supports everything you do.